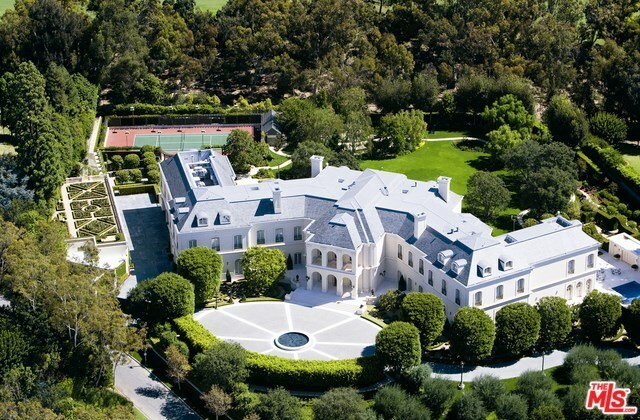 The Manor, built in 1988 by entertainment royalty Aaron and Candy Spelling, is the grandest private residence in Los Angeles. 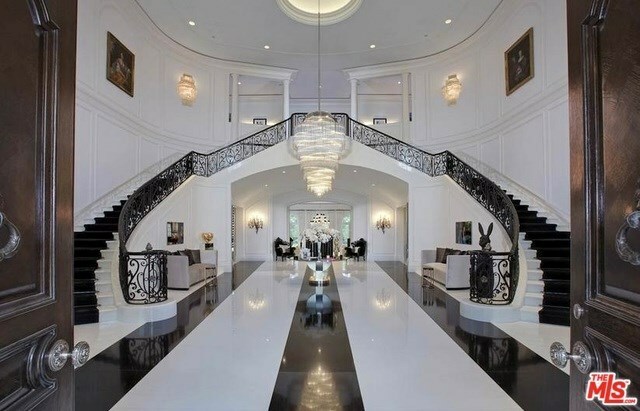 Proudly positioned, its nearly five acres of rare flat land borders the LA Country Club. The Manor blends visionary design, bespoke attention to detail, and classical elegance. A winding driveway leads to a circular motor court, fountain and space for 100 cars. 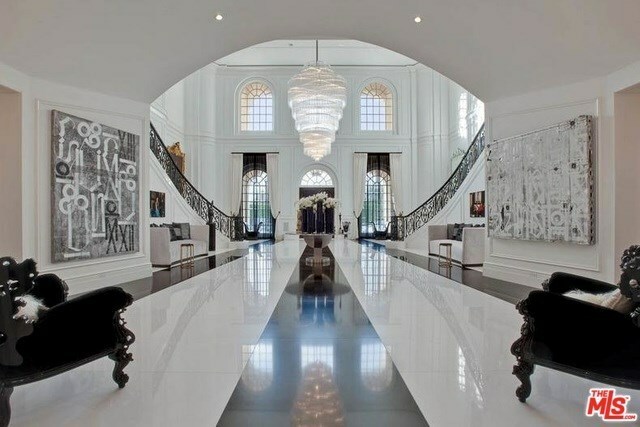 The entry’s double staircase with dramatic 30-foot ceilings is reminiscent of Old Hollywood. Italian limestone enwraps the sumptuous living spaces. In addition to 7 BR suites and 7 staff bedrooms, there is a grand formal living room, projection room, bar, family room, library, office, service wing, billiards room, game room, two lane bowling alley, wine cellar and tasting room, catering kitchen, gym and a fully equipped beauty salon including masseuse and tanning rooms. The current owners spared no expense in 2011 to renovate and update the estate. This is a rare property, and beckons a discerning buyer.